I first visited Laos back in 2001 and instantly fell in love with its heady beauty: there was a slowness to life that totally absorbed me, the people were the friendliest and most happy I’d come across in all of South East Asia, the luscious landscapes were stunning and being there felt like stepping back in time. Each time I return to Laos I always worry that development will have ruined this sleepy little country but, luckily that hasn’t happened yet. Yes, Laos is developing but thankfully at a much slower pace than its Tiger economy neighbours (Vietnam, Thailand and China) - the country certainly sits in their shadow when it comes to tourist numbers. This is good because, unlike many places in South East Asia, it means you can still get a truly authentic experience. Don’t worry though, although some areas are difficult to get to and you’ll undoubtedly experience a few bumps along the way, there’s some excellent accommodation to choose from and, as I experienced on my most recent trip, these are popping up in some of the more remote locations so you can actually get off the beaten track without sacrificing on comfort and luxury. My recent journey to Laos began in Luang Prabang which is one of my favourite towns in all of South East Asia. Once Lao’s royal capital, this charming, tranquil place, with its mix of ancient and French colonial architecture, is gorgeous and you can’t help but be seduced by its charms: wake early to watch the saffron clad monks snake along the streets collecting their daily alms, stroll around the kaleidoscopic mass of beautifully gilded wats (temples), sip coffee in one of the old shop houses now beautifully resorted as cafés, or delight in the wonderful local arts and crafts on offer at either the night market or chic little galleries. Luckily for Luang Prabang (and those who visit) all this beauty is wrapped in the protective arms of UNESCO, who have actually done a fine job in preserving the town’s appearance and its Indochine soul, despite an influx of tourists. Many visitors just tag a few days in Luang Prabang onto a longer South East Asia trip, which is a real shame as the country has so much more to offer. In the north, amidst craggy green mountains you’ll find some of Lao’s most authentic and untouched hill tribes - home to remote Akha, Hmong, Ikhos and Khmu tribes, this is one of the few remaining regions where locals still dress in traditional clothing - and it’s not just put on for the tourists! It takes some time (and a number of different modes of transport) to get there but, it’s worth it and you certainly don’t have to forgo you your western luxuries. Instead, check-in to the wonderfully atmospheric Muang La Resortwith its beautiful rooms, amazing views, two hot tubs and divine food. It’s a great place from which to explore - you can walk, mountain bike or get further off the beaten track by 4x4; on any day trip you’ll be guaranteed that the views will be stunning, your encounters with hill tribes truly memorable and you’ll be one of a handful of tourists, for the moment at least. 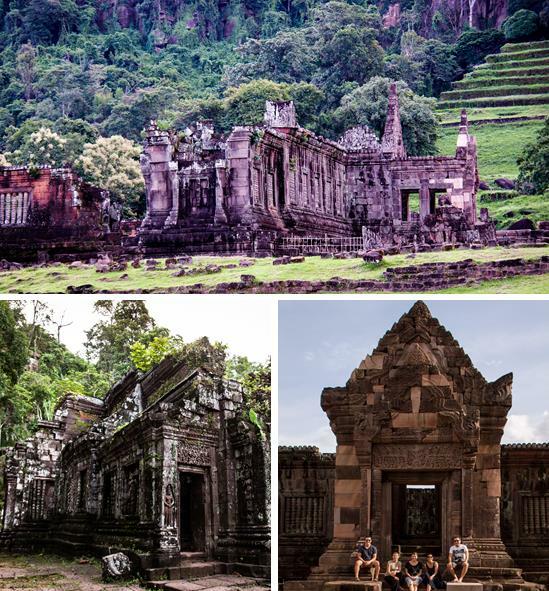 In the far south you’ll find natural wonders such as the Bolaven Plateau, famed for its many beautiful waterfalls and coffee plantations, and ancient Khmer sites like the evocative Wat Phu in Champasak - built on a hill beside the Mekong River, it's older than the Angkor temples and with much fewer crowds is very tranquil; you can clamber up to the top and be wowed by the amazing view across Laos with the temple ruins and lakes below. On the border with Cambodia you have Si Phan Don or the land of 'four thousand islands' where the mighty Mekong splits into hundreds of tributaries and washes around tiny sandbank islands that lie submerged during the monsoon period, only to appear as the water subsides. The largest of the islands are inhabited and offer a fascinating glimpse of river-oriented village life - communities here are largely self-sufficient growing most of their own rice, sugar cane and vegetables, catching fish and weaving textiles. This is the Mekong at its best: away from the madding crowds where you can hole up in a secluded lodge (like the lovely La Folie Lodge) on one of the islands, swing in a hammock with a Beer Lao, cycle round rural villages and try to spot the rare Irrawaddy dolphins. 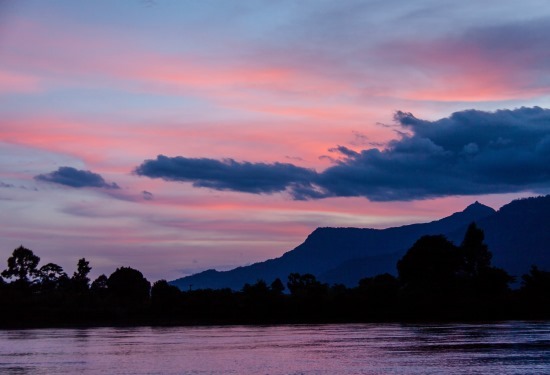 Laos really is South East Asia at its most unspoilt - a land of rugged jungle-clad mountains, picture perfect temples, meandering monks and French colonial architecture. It’s an inspiring and beautiful land where you really will get a unique glimpse of a country that hasn’t changed in centuries. Plus, with more remote regions and boutique hotels opening up, there’s enough to keep you occupied for a few weeks. If you are interested in finding out more about Laos then please do get in touch. I guarantee that you will be captivated by the magical tranquility of this small, landlocked nation.